By using existing Caller I.D. 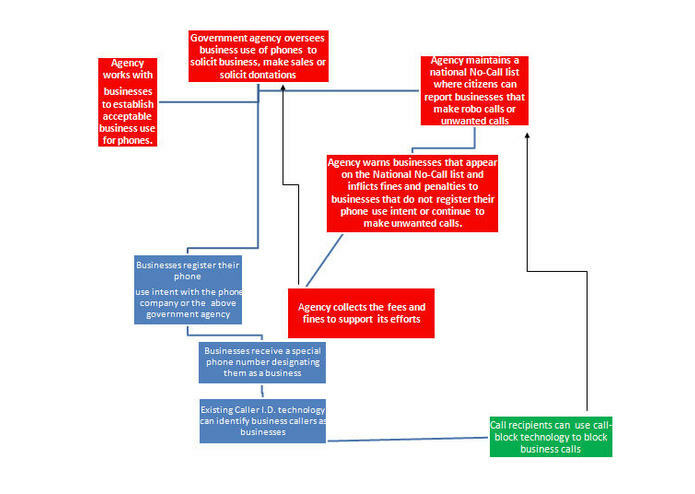 technology and the process of assigning unique phone numbers to business callers, citizens would have the ability to block unwanted business calls. Also, a designated agency would use social media and other methods to enable citizens to share information about companies that practice robo calling or make unwanted solicitation calls. Fees charged to businesses for their phone services, as well as fines charged for non compliance to the process described in this proposal would be used to maintain the process described in this proposal.